Astonishing in its use of genre horror to represent the maddening social disconnect caused by anxiety, stress, and other mental disability, Babadook is fiercely discomforting. Its images, sharp and static (yet realized with distance) display an almost unfortunate intimacy to its themes. Babadook’s style is visually rattling with closed-in walls, deepened color, and distancing coldness surrounding the main set’s home interior. A widowed mother, her eyes pale and sleepless, wanders these claustrophobic and shrunken hallways. Her son Robbie (Noah Wiseman) is nearing seven. He’s troubled. He sees things, dark things, which propel him beyond normal childhood fantasies and cause him to violently act out in fear. But this is only part of Babadook. It a film about a children’s book. It is unknown where the piece of pop-up fiction came from but soon it will be obvious, then joyless. Babadook sterilizes nothing. An allegory of death and failing to let go looms. The grip always grows stronger. Important is how effectual the film is in its depiction of psychological collapse. Support systems are disbanded, trust fades, and those who are closest begin to suffer. 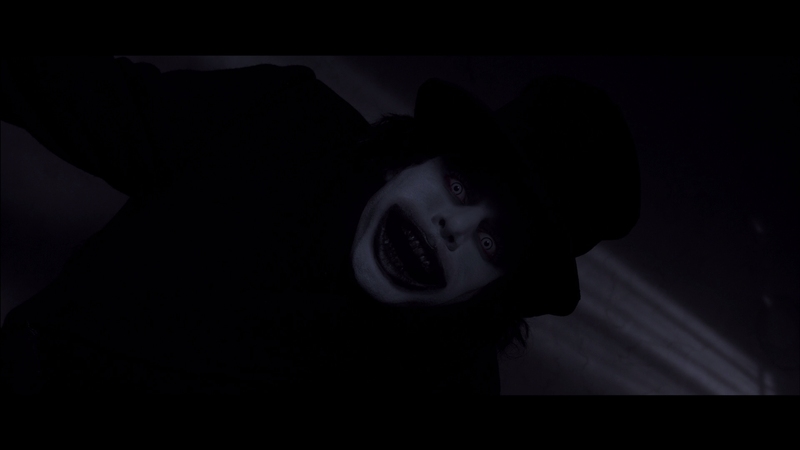 The Babadook is a presence, a horror villain with a smoky face and blades for hands. Such a creation is fearsome, if only because it can exist inside any of us – and likely does. Therein lies the fear. Much is made of films which are “scary.” Many aren’t. They exist as a series of loud noises, maybe some gore. Babadook internalizes fear. No blood and guts. No sudden sounds. Basic conventions are impressively eluded considering Babadook borrows elements of iconic silent horror. The Babadook is identifiable as an eerie creation of the early ’20s; Murnau’s Nosferatru, but advanced. Such a creature is an immediate presence. The film is disinterested in the usual foreplay. Amelia (Essie Davis) is under instant distress, seven years on from a crash which killed her husband. What tips genre alarms over the stereotypes of creepy children soon disintegrate. Robbie’s behavior is but a part of cyclical, unintended torment. Amelia is a mother who has never been allowed an emotional release. 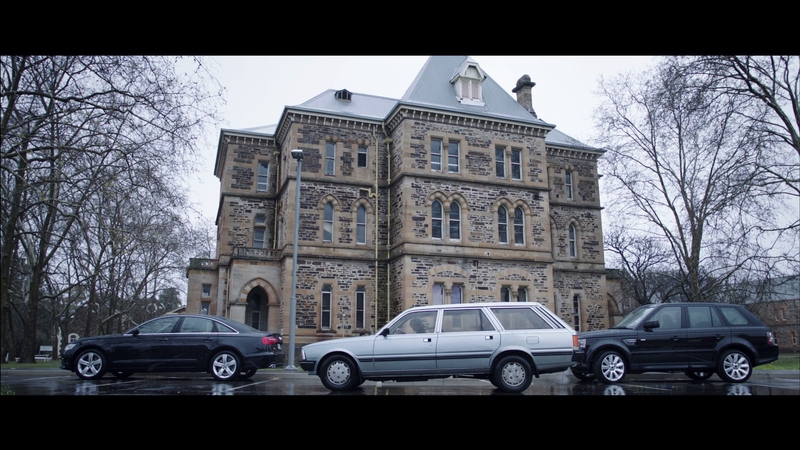 The film represents the ultimate effects of a cavalier attitude toward mental care. Anxiety stalks in the night. Its effects dominate during the day. Unhealthy artifacts reside in basements. The Babadook leaves an impression everywhere; it cannot be escaped. 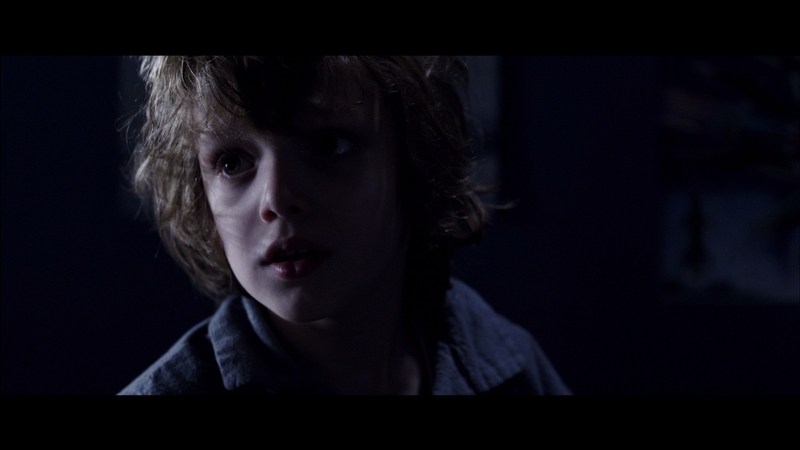 Oddly, in spite of the overbearing (positively) effects of the imagery, Babadook is consistently alluring. Darkness within every corridor; the pace of events; the unflinching pain reflected onto a child. 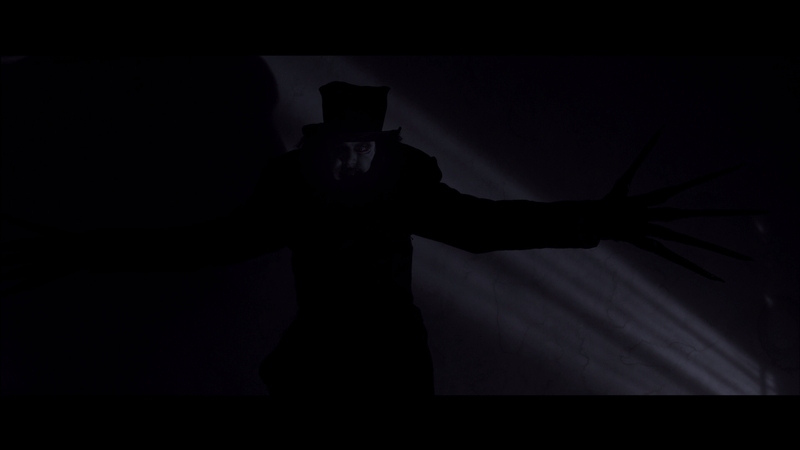 The latter, an often cheaply employed custom to rile an audience to action against slasher villains or other monsters, is brought into Babadook for an express purpose. It is cruel, but only to an extent where it needs to be. And what a name: Babadook. A jumbled anagram, yes, but mindful of the garbled messages passing through a mind experiencing uncontrolled thoughts or feelings. 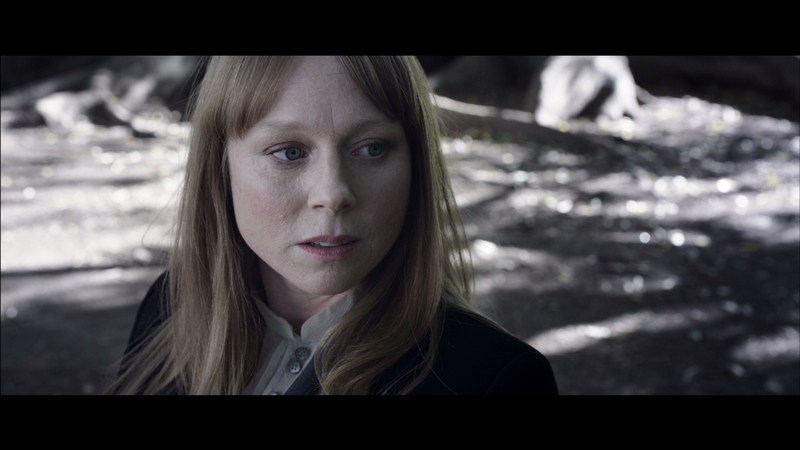 Essie Davis breaks out by never making Amelia outwardly evil. It is always a monster in the closet or the one under her bed. She is never in control. What a terrifying – and terrifyingly common – proposition. 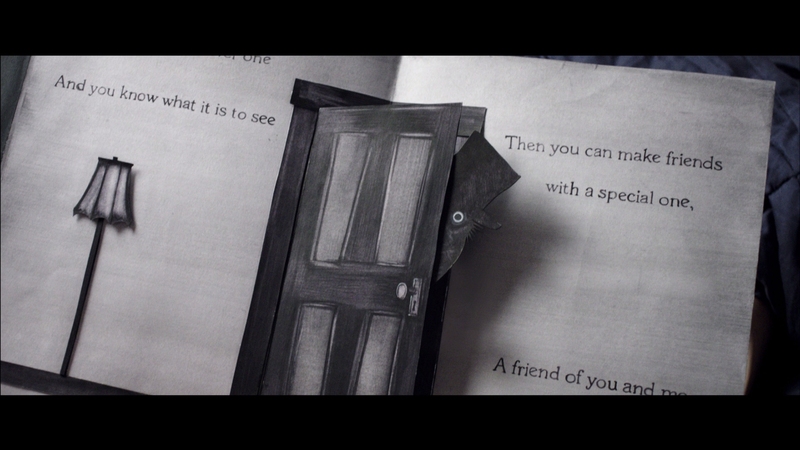 Production design elevates the look of Babadook to an elite level for such a miniscule budget. A chunk of the money had to be crowdfunded. A studio-backed film would hardly ever appear so naturally worn and free of gloss. 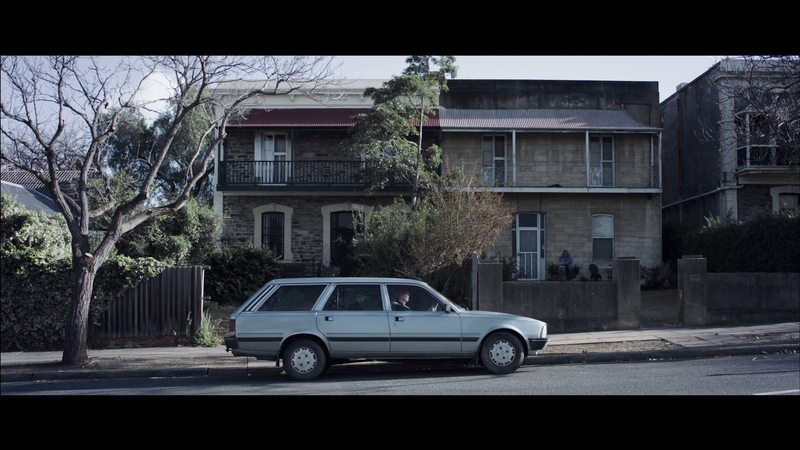 The house and the shadows within are central to nearly every shot. Images spike in depth and blot out specific points. Certain areas are simply unseen, a brilliant effect. IFC’s disc is a standout in terms of replicating black levels, matching pure black without fault. Consistency is wholly appealing even with such dramatic subject matter. There are no distractions to note unless the intentional crush is bothersome. Fleeting instances of digitally smooth faces are not a bother. Babadook has many opportunities to impress in close with fidelity. Facial details regularly show off. Sharpness is pristine when allowed to be. Note the feature is ferociously tight in terms of color. The home’s paint is an uninviting series of watered down blues, grays, and pure blacks. Flesh tones are pale. There is little here to see, and that is certainly (obviously) the point. There are two audio mixes to consider, sure to create divisiveness. A DTS-HD 2.0 mix is better focused than an equal format 5.1 choice. Balance is stronger, definitely more typical. Separation is still considered. What’s interesting is the 5.1 mix which quiets dialog and raises surrounding audio to deliberate levels. Amelia is covered in noise. She is barely heard. Sounds never stop being distracting. Such an informal use of audible context is debatable, but it works in terms of cinematic function even if such a design is not intended. Trying to compensate with volume only makes the mix more piercing. Plus, the room soaking LFE is tremendous once it hits full. This type of rumble is awesome. Creating the Book opens a small selection of short featurettes. Here the illustrator of the Babadook book speaks on the project and his involvement for four minutes. A Tour of the House Set takes a ride through the split set, focusing on design, color, and more. It is detailed at only seven minutes. A short set of raw takes for a stunt sequence (with a minor but painful injury) are fun to see, with the breakdown of a key action scene following. Finally, a random collection of all raw set footage (2:55) takes the final peek beyond the camera. For a finale, the extras bring in over an hour of cast/crew interviews. They’re dry and low quality, yet their information has value.